Shaguns (Gifting cash in an envelope on special occasions) are a popular concept in India. We have all received or distributed shaguns on occasions such as weddings, engagements, birthdays, anniversaries etc. 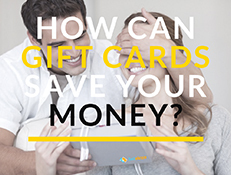 Now, instead of giving cash away in an envelope, a better idea would be a Gift Card bought from Sellebrate. Yes, at Sellebrate you can buy Gift Cards on discounts, give a meaningful Brand’s Gift Card for any occasion and keep the Gifting choice and power in the hands of the receiver. We often end up spending more than our budget allows, on our shopping sprees. Try using a Gift Card when you go shopping next time. A Gift Card that suits your requirements will help you stay well within your budget. There is no rule that says you can’t buy Gift Cards for yourself. I often save money by using Gift Cards, that I have purchased on discount from Sellebrate. I once purchased a discounted Gift Card to buy a pair of denims and ended up saving quite a lot of money. Last Friday was my best friend’s birthday and I had no clue what to buy her so I bought her a leading electronics Retail store’s Gift Card on discount from Sellebrate and emailed it to her. She then used it to buy a mobile phone for herself. Visit Sellebrate.in and search for Gift Cards. You will be able to see that there are greater discounts on the Gift Cards set to expire in the next one or two months. For example, you can get a discount of around INR 200 on a Gift Card worth INR 1000 if its expiry date falls in the next couple of months. If you are new to Sellebrate, you get 50 Sellebrate Rewards credit as joining bonus. If you already have an account, referring a friend gets you 50 Sellebrate Rewards credit as referral bonus. You can use this amount to buy gift cards online on Sellebrate.